A replacement horse walker has been installed in the barn behind the offices. 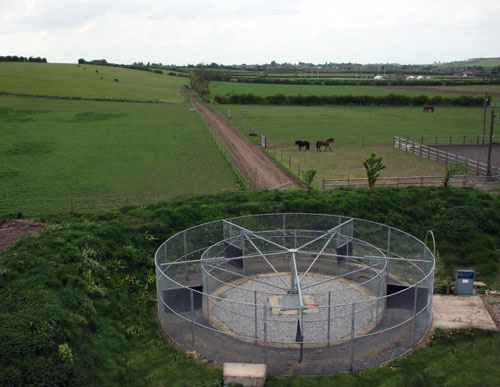 The location means that the horses will be exercised under cover and they can be easily watched, either directly or by means of a network camera. Our horse walker is a Claydon, who are based at Southam in Warwickshire. Their web site is www.claydon.com and phone number is 01926 811526.